Talking is smooth between Norway and Russia when it comes to cross-border regional cooperation. But when the troublesome sanctions come on the agenda, the smiles turn stiff and conversation flutters. 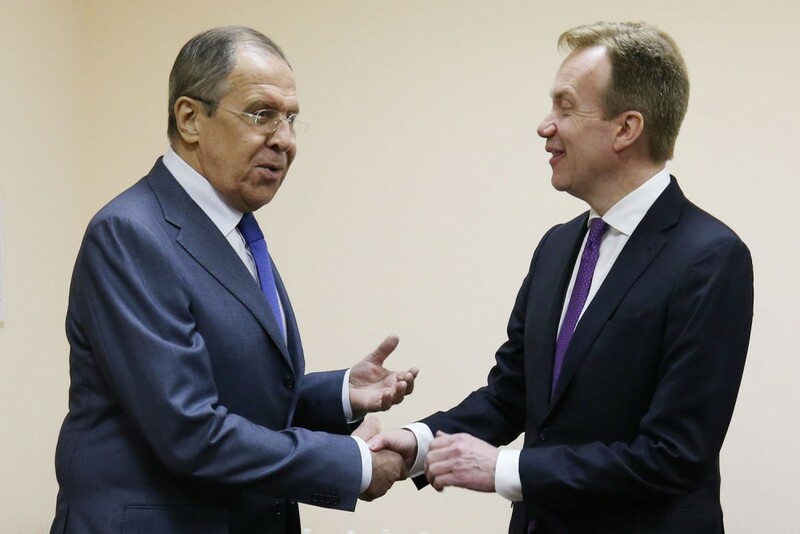 «You are well aware of the fact that our relationship is not experiencing the best of times», Russian Minister of Foreign Affairs Sergey Lavrov told Norway’s Børge Brende as the two men met for bilateral talks in Arkhangelsk on Wednesday. It was the first visit to Russia by Brende in more than three years. Lavrov thanked the Norwegian minister for attending the ongoing Arctic Forum in town and underlined that he appreciated the opportunity for exchange of opinions, a press release from the Russian Foreign Ministry reads. Furthermore, Lavrov argued that «there are signals that people are starting to understand that it is time to return to common sense». «We are always ready for that», Lavrov underlined. The meeting between the two experienced ministers comes only few weeks after a Norwegian parliament delegation to Russia cancelled its visit after two committee members were rejected entry to the country. Shortly later, also Editor of the Barents Observer, Thomas Nilsen, was told he was unwanted in Russia for the next five years. Reportedly, both Nilsen and the two MPs are on a so-called stop-list, a list of individuals rejected entry to Russia. It is a response to Norway’s participation in the EU sanctions against Russia, Moscow says. The travel bans have added tensions to an already strained relationship between the countries. According to newspaper VG, the good atmosphere around the table in Arkhangelsk silenced when sanctions and the expelled Norwegians came on the agenda. «The stop-lists is not among the issues which create good atmosphere», Brende admitted to the newspaper after the meeting. Lavrov made clear to the Norwegian foreign minister that Russia is irritated by the fact that Norway rejects entry to Svalbard of Dmitry Rogozin, the controversial Deputy PM. Rogozin, who is on the EU’s sanction list because of his engagement in eastern Ukraine, in 2015 made it to the Norwegian Arctic archipelago. That created a flurry in bilateral relations. Rogozin is also heading the Russian Arctic Commission. «We disagree about the stop-lists», Børge Brende told VG. «Norway has joined the EU’s list as a reaction to [Russian] individuals’ violations of international law», he underlined. «It is not the same as picking out Norwegians, who have not done anything wrong, and put them on a stop-list». The Norwegian Foreign Ministry has held a low profile in the run-up to the meeting in Arkhangelsk. In a comment published in newspaper VG ahead of the meeting, Brende highlighted good neighborly relations in the North. «Our dialogue with Russia about the Arctic is good and there is much to cooperate about», he underlined and highlighted the importance of nuclear safety, fisheries and people-to-people relations. «An important consequence of today’s turbulence in international relations is a need to focus more on our own neighborhood […] and a further enhanced stress on the Arctic is a central dimension in that respect», he writes. As part of his visit, Brende also took part in an event devoted to the development of the regional relations. In his speech delivered at the «Talking Barents», a roundtable discussion, the foreign minister described the Barents Cooperation as “a major success story” and steered clear of any complex issues in regional relations. Consequently, he did not mention with a word that two of the region’s major proponents for expanded cross-border interaction actually have been expelled from Russia. In June 2016, Atle Berge, a businessman, was kicked out of the country for alleged espionage activities. A few months later, Barents Observer Editor Thomas Nilsen was denied entry because his independent journalism represented «a threat to national security». «We need to make sure that the region has the knowledge needed for cooperation to prosper and that the young generations have the skills to make that happen», Brende underlined in his address. 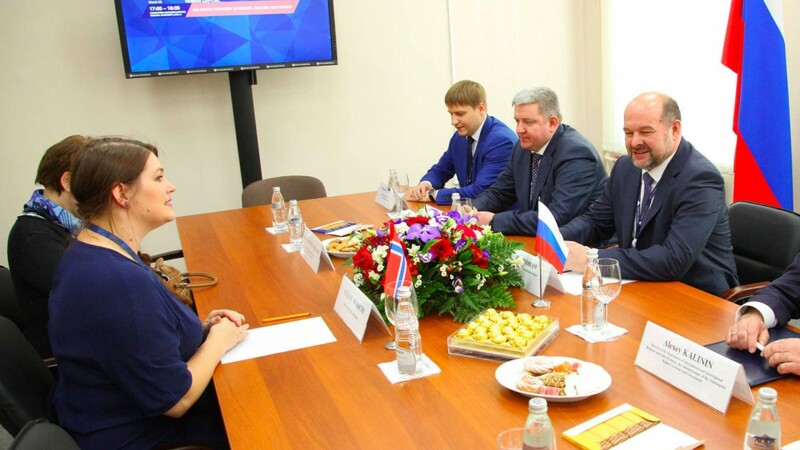 The regional dimension in bilateral relations was underpinned also by a new cooperation agreement between Arkhangelsk Oblast and the Norwegian County of Troms. In a comment on the deal, Arkhangelsk Governor Igor Orlov underlines that «our cooperation is extremely important and I am confident that no big politics is able to destroy our warm relations». «Our task is to preserve this friendship, to protect it against negative influence».